Seattle–Tacoma International Airport | TROX USA Inc. Constructed by the Port of Seattle this airport opened in 1944 and improved since then to one of the most sustainable airports in the United States. Located between the cities of Seattle and Tacoma, Sea-Tac Airport is the 16th busiest airport in the US with over 33.2 million passengers in 2012 and is the primary hub for Alaska Airlines, serving 77 non-stop domestic destinations and 17 international cities. Port of Seattle image by Don Wilson. TROX USA already installed its products in the 1990s and since then Sea-Tac Airport is a returning customer. Due to its environmental, award-winning programs, Sea-Tac Airport considered economic air conditioning and ventilation systems. Passive Multi-Service Chilled Beams were mounted in the subway train stations and other accommodations. The MSCBs provide economic cooling and can be customized with smoke detectors, speakers, lighting and other services. Furthermore Jet Nozzles type DUK were installed in different halls and terminals at the Sea-Tac airport. Jet nozzles are especially used when supply air has to travel a large distance to the occupied zone. Sea-Tac's commitment to sustainability and their different environmental programs are the demand to become the nation's leader in sustainable port operations. 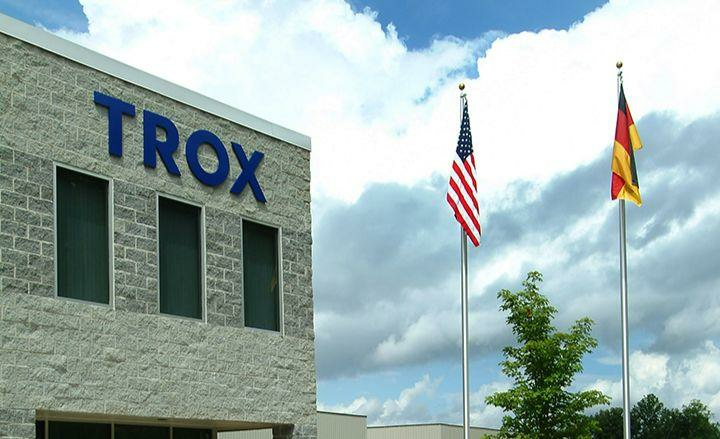 Different sustainability features like TROX USA's products helped to reduce electrical usage by 50% and indoor air quality complaints by 80%, which equals annual savings of $160.000.